Stockett Tile & Granite Company is the Valley’s leader in fabrication, installation, and restoration of natural stone and tile. What sets us apart from the rest is our outstanding customer service, attention to detail, and craftsmanship. We were founded in 1974 with an impressive mission: “To develop lasting customer relationships and to create products of timeless beauty through excellence in service and craftsmanship.” We are proud to have maintained our presence in this dynamic industry for more than 40 years. Stockett Tile & Granite moved into our corporate office which includes a gallery and innovative manufacturing facility. With convenient freeway access, our manufacturing facility houses a large staging area for slab selection, a warehouse, and a production facility with predominately American-made, state of the art equipment. We are experiencing tremendous growth as a company due in part to local economic development and the increased popularity of stone and tile. 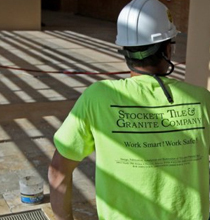 At Stockett Tile & Granite, we take pride in our long term relationships with builders, designers, architects, suppliers, and homeowners throughout the southwest. We believe it's essential to continually monitor the market to ensure that we’re meeting the ever-changing needs of our customers. Our success depends on the consistent high standards we maintain for you. One of our master strategies is to make working with Stockett as simple as possible, ensuring the proper customer experience. To achieve this goal, our company accommodates four separate divisions: Granite, Tile, Commercial/Cladding, and Care & Maintenance. 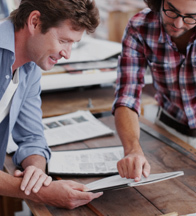 Our concept is simple; create an environment that allows our craftsmen the opportunity to focus on what they do best. 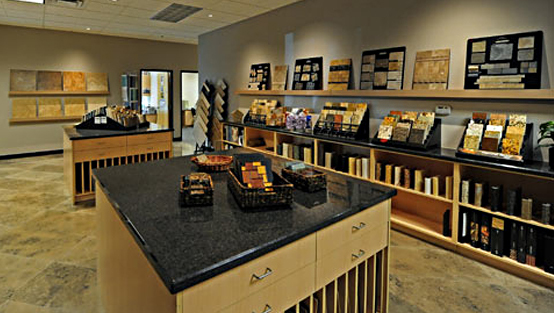 Call, click or come visit us at our Phoenix showroom to learn more about how we can help with your new project. With over 40 years of experience, Stockett has won countless industry awards for their superior service and craftsmanship. 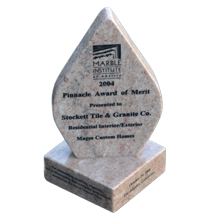 Stockett Tile & Granite has a large selection of Marble and Granite Remnants for sale.